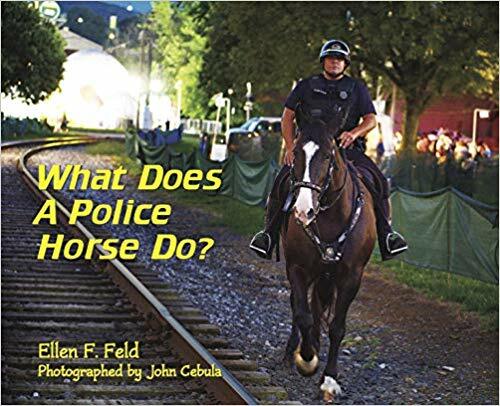 Home > Books for Young Readers > What Does A Police Horse Do? Meet Liam - a police horse with the Lancaster, PA Mounted Police Unit. Liam is a valued member of the police department with a very important job. Along with his partner, Officer Eric Lukacs, he patrols areas of the city, meets with school children, and even helps with crowd control at big events. Follow along with this very special horse to learn just what a police horse does every day.